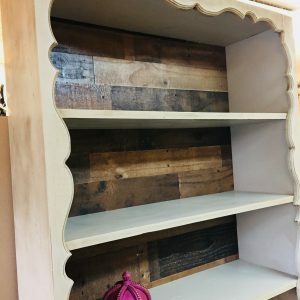 Refinished MCM End Table in Maison Blanche Paint Company top in Dumpster Diva & Mushroom, drawer in Dumpster Diva, base with Mushroom Vintage Furniture Paint & Dark Antique Wax all over. 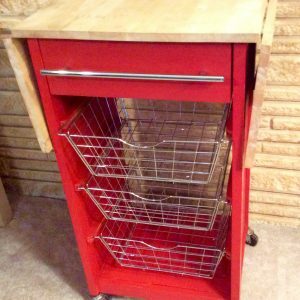 Upcycled Kitchen Island Cart 1-Drawer 3-Wire Basket Storage Rack with Rolling Wheels with Maison Blanche Cerise & Amber wax. This Kitchen Cart adds extra counter and storage space to your kitchen . It has 1 drawer, three wire baskets for simplified organization and easy accessibility. Stainless steel handles on the drawers resist rust and corrosion for durability while adding styles. 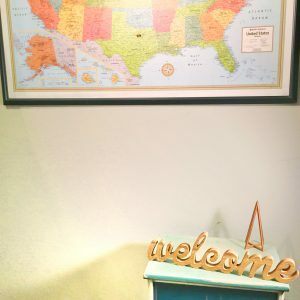 Simple modern design will fit into a variety of home decor styles with ease. Don’t hesitate to buy now! 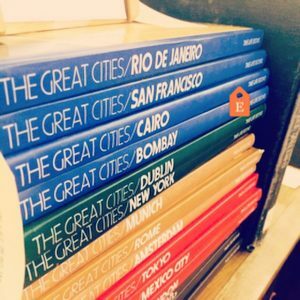 Vintage 1970s Time Life Books Series “The Great Cities” consisting of 17 volumes. I’m not sure if this is the complete set. Books are in excellent condition and appear to have been sitting on the shelf for most of their life.